Who will be elected President of Brasil in 2014? The most renowned traditional authors such as Abu Mashar and Masha’allah dealt with mundane situations in which the country was ruled by a king. With the advent of democracy and elections, the role of the civilian population became much larger. Therefore in astrological charts we must give the same importance to the king or ruler and to the civilian population when trying to delineate the future ruler of the country. 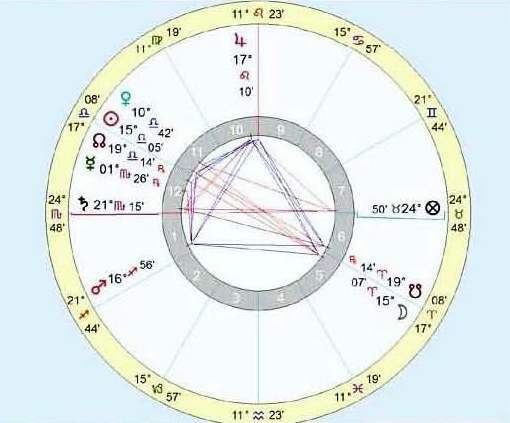 With the tradition in mind, referencing the charts of all potential candidates, whose charts are often unavailable, Instead, I’ll read the chart of Brazil’s founding, look at the Ingress and eclipse charts. This should provide us with an accurate means of reading the political leanings of the people : will people lean towards changes or remain conservative, continuing loyal to the the party that since 2002 has elected our presidents? This former party has been involved in corruption´s scandals that horrified the society specially in the last 2 years, facts that contributed to devaluate and to weaken the presidential position, but as many things can change in a year, we, as astrologers, are called to give our judgement. I remind of the opinion of my teacher Robert Zoller , respecting to the fact that a president chart did not necessarily reflect the chart of the country, and I agree with him partially. The primary concern is with the country chart and not with the candidates´s chart. But, in another hand, people in a certain moment of the history and with the progression of the country´s chart, has more affinity with the chart of one candidate than with the other and the fate of a nation can be predictable respecting the mundane scenary as the individual natal theme, even being more complex to design. 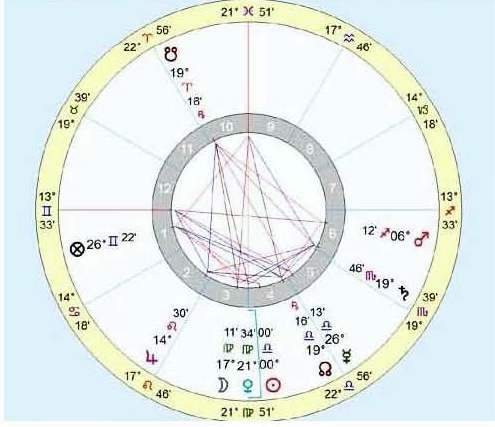 Assuming that our current president will apply to the same position, and all facts are indicative of this, we need to check her situation in 2014 using the Ingress Chart of the Sun in Aries , in order to see if the “queen”, the president , will be strong enough to spare conjectures about a possible loss of her ” throne ” in favor of another candidate. If the charts casted above announce afflictions of the Sun or of the ruler of the MC the situation of the queen / president is declared weak , giving room to problems in the kingdom / country such as the usurpation of the throne or the illness and death of the current ruler. Thus the mundane charts from Brazil in 2014 will point to the current president´s weakening or strengthening . I will not take into account the testimonies of the Great Conjunctions of Jupiter / Saturn. They occur every 18/20 years as a combined results of the orbital period of 12 years of Jupiter around the Sun and the orbital period of 30 years of Saturn.Successively the conjunctions occur at about 120 ° to each other and form a triangular pattern . Note the pattern of them above, according to Kepler’s book, De Stella Nova (1606 ). Each combination of signs takes place in an element, as for example airy signs , followed by the next element, in order that the watery signs are visited about 250 years later. A long cycle of about 800 years is divided into four periods of Saturn/Jupiter conjunctions in the order of the elements of the zodiac, namely , fire, earth , air and water. Particular importance has been given to the occurrence of a great conjunction in a new triplicity which occurs every 200 years. The greatest importance is given to the beginning of a new cycle , after all four trigons ( triplicities ) were ” visited “, something that happens in about 800 years. Great conjunctions causing impact happen each 250 to 800 yaers and are related to the fall of empires and dynasties, creating new forms of government, such as the advent of democracy around the eighteenth century. We will not cover this vast universe in order to understand small phenomena like elections in a country . For our investigation we will use the Independence chart, the chart of the Ingress of the Sun in Aries and the chart of the prior lunation which occurred before the Ingress ( Syzygy Ante Nativitatem or SAN ). The Ascendant and its ruler represents civilian people in general , but to find the Lord of the Year exist some special rules. According to Masha´allah, the lord of the year must be a planet with dignities in the Ascendant, thus it will be a planet with rulership in the ASC by domicile, exaltation, triplicity or term. Instead of using the decanates Masha´allah accepts as having enough dignity a planet which rules the Ingress´ hour. The more powerful ruler is the one possessing rulership or exaltation in the Ascendant specially if it is angular. Besides that the choosen planet must be in aspect to the Ascendant. According to this rule a planet to be elected LOY cannot be in the 2nd, 6th, 8th and 12th houses. Otherwise the president of the country is represented by the MC´s ruler or by the Sun, the one which is in best conditions by sign and house. In order to proceed with this study I have to clarify some points. I´ll use whole signs and every chart will be calculated for São Paulo, instead of Brasilia, the present capital,since the Independence chart was casted for São Paulo, where this important event occured. Some astrologer use to relocate de chart to Brasilia, when doing the Ingress chart or the Revolution Chart. I do not. A natal chart do not change simply because the physical phenomena have changed: it is an ilusion to think that people will have another personality, the ruler will change their mind, friends and enemies of the state will change or the soil of the country will be more receptive to certain kind of grain or even get a different composition to the point of producing ethanol instead of grains, only because the latitude and longitude have changed. Using the cited techniques we are able to judge the country´s situation in certain year, the population and the president´s conditions. So we will begin presenting the Independence chart. 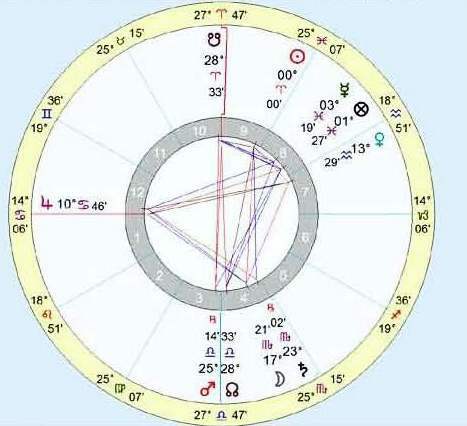 In this chart we see that the people is represented by the Moon, lord of the Ascendant, which applies to Saturn: the Moon is in fall, weak and afflicted, pointing out to a depreciated population, deprived of leasure and having difficulties to raise their children. We first note that Scorpio is the Midhaeven Brazil´s chart. We can say that the kind of things occuring to the Moon are caused by the the MC and its ruler, Mars, i.e. the government. The president and the rulers have prepared a very poor space to common people, the “rustics” according to Masha´allah, represented by the sign of Scorpio having Saturn in it. 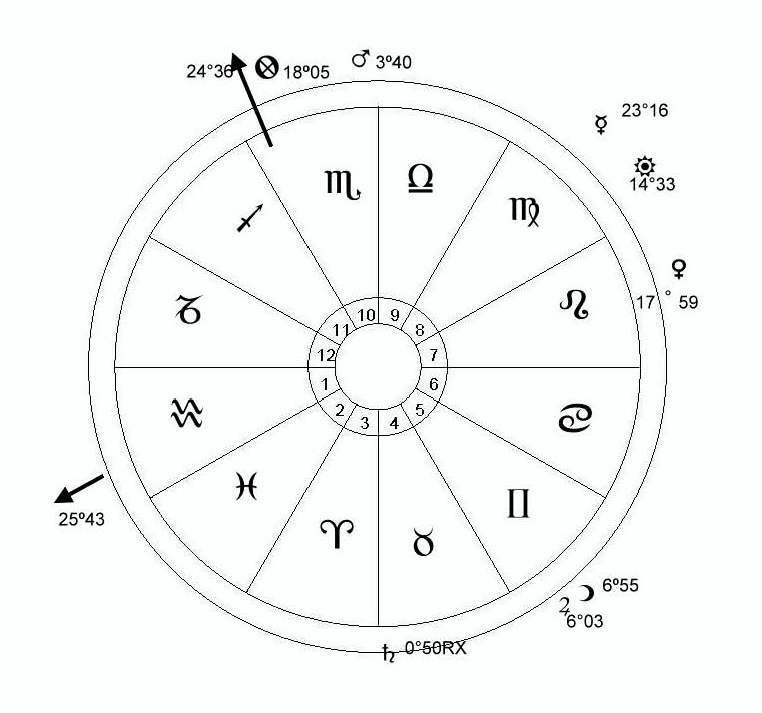 This is in perfect agreement with Brazil´s chart where we see that the place representing the government is in the sign of Scorpio , having Mars and the Part of Fortune in it. Little remains to please the people. And according to this last chart, the Ingress chart,Mars, responsible for the government is the final dispositor of the common citizens. Jupiter is strong in the Ascendant´s Ingress and is its exaltation ruler. Because of this angularity I choose Jupiter as the Lord of the Year. This can show that people, even suffering, remain full of ideal and more because Jupiter rules the 9th House the one of the Justice and the Law. This is in accordance to the triumph of Justice in 2013 that for the first time in our history has put in jail for corruption and appropriation of public moneys many important people related to the government. Perhaps this was due to the fact that in many brazilian cities people and students have gained the streets reaching inclusive the presidential palace in Brasilia claiming for honesty and against corruption. On another hand, the president is represented by Mars, the MC´s ruler, that I choose instead of the Sun because the Sun is cadent. Mars is in the angle of the Earth in the sign of Libra. Since that Mars, as the MC´s ruler, is in retrogradation and in bad celestial condition, its detriment, we can say that the president´s situation is underestimated and vulnerable, even having power to act in an angle. This horrible Mars disposes over the Moon and Saturn, so is responsible for what happens to the Moon and consequently by the suffering people. 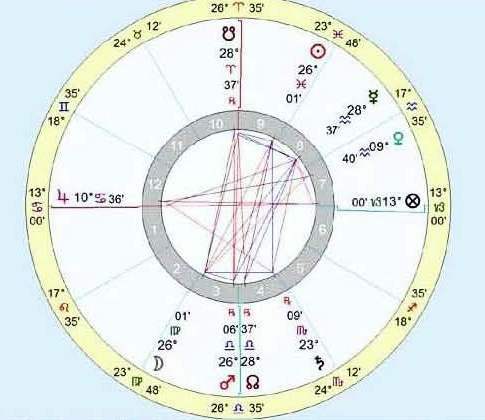 The South Node in conjunction to the MC in the Ingress chart is in accordance once more to the dangerous condition of the president, whose acts of power ( the MC is a local of doing things) can give room for her own destruction. Aries, other sign ruled by Mars has power on the 3rd house of the Independence, leading to the conclusion that the media has enough interest in broadcasting the government acts. The Ascendant happens in the same sign as the Ingress chart and Jupiter is therefore in the same position, but the Moon is in Virgo conjunct to Mercury of the radical Brazil´s chart . The Moon is cadent in the 3rd house, but it has its joy in the 3rd house. This points out again to the media influence. As the Moon, in turn, is disposed by Mercury that is in Aquarius in the 8th house, a dark place, squaring Saturn, we can expect anguish and financial loss for the people. Moreover, the president is represented by Mars, the MC´s ruler, which in the Ingress chart will fall in the Nadir, in the sign of Libra, the same than now. As we can see we discarded the Sun as representing the president, because it is very weak. Since that Mars is in retrogradation and in bad celestial condition in its detriment, we can see the vulnerability of the president and her underestimation. Masha’allah says in the book cited above, chapter 4, that if the Ingress´s Ascendent falls in a mouvable signs it is appropriate to cast a second chart for zero degrees of Libra, because the situation of the Ingress in Aries, will not prevail for all the year. The ruler of the MC is in a noble sign, but cadent and the Sun does not aspect the MC, so instead of using the Sun I preferred to chose Venus, exaltation ruler of the MC as representing the ruler. The president, even not being of good “esse”, has again the power to act. In order to chose the LOY I had two choises: Mercury, ruler of the ASC was in the 5th house, aspecting the Ascendent and Mercury has triplicity there. But Venus also aspects the ASC and has dignity of term in it. Besides that it is Mercury´s dispositor. Due to its angularity I preferred to use Venus as LOY. In this case Venus will represent the people and the governor. The Ascendent´s domicile ruler is Mercury, and Venus has rulership over Mercury: apparently a planet complements the other. Mercury in the house of pleasure and fun can mean that Venus, the president, favors leisure. In my point of view Venus is making use of Mercury´s magic to turn into joy an old brazilian pain. 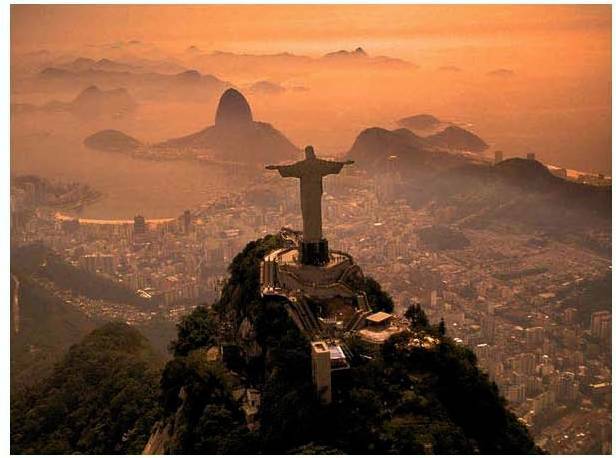 In fact it will be the year of the World Cup which will be played in Brazil: a big party costing millions. The unworthy ruler provides fun and people are accepting the indirect kickback, blinds enough to see how much the party will cost. Indeed Venus and Mercury do not aspect each other, being in inconjunct signs: the president is commited to amuse the people and people leans to anything allowing them to enjoy the party. This kind of thing weakens the old concerns for Justice and put the people in agreement with the President, sharing with her the lack of dignity, because the ultimate result of a planet depends on its dispositor. So, the future of Mercury depends on a depreciated Venus. In this chart president and people speak the same language: panis et circenses ludi . This chart is much more promising for the present president´s intent: to be reelected. 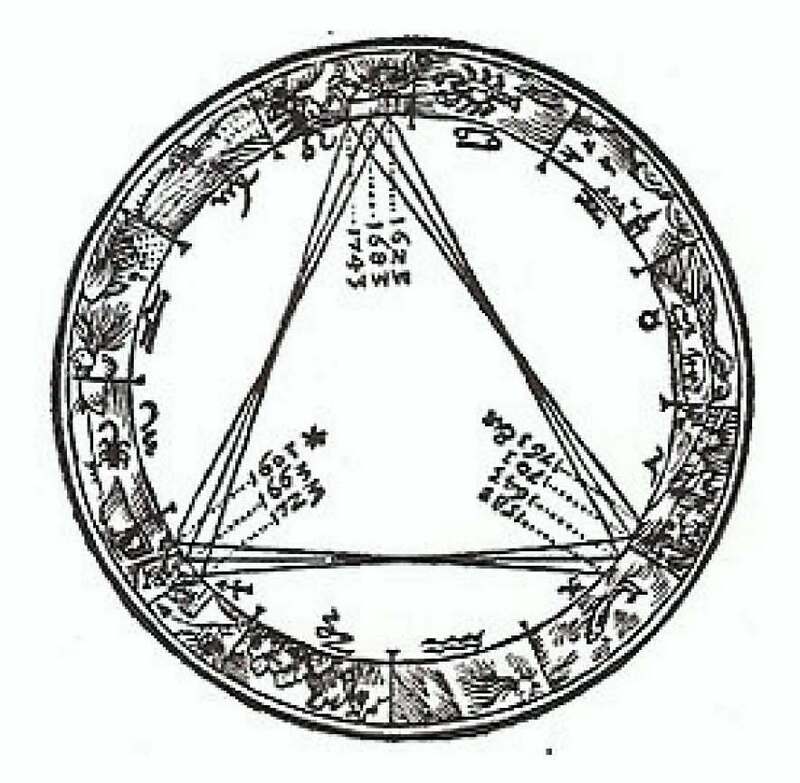 Following, I will present the chart of the Sycygy Ante Nativitaten, which preceeded the Ingress of the Sun in Libra . Mars in the 10th house of the Independence chart now occupies the 7th house of the SAN´s chart. It is angular and in conjunction to the Part of Fortune. Good fortune for the Governor, even because Saturn in this chart rules the MC, but it mus be noted that Mars is related to things happening behind the public eye, since it rules the 12th. Very interesting is the opposition of luminaries occurring in the 2nd/8th axix house of the Independence chart and now occupying the 11th/5th axis, the support that the the govern will receive for the campaign/ fun and games. It is pretty known how money a campaign can cost, as well as hosting the World Cup! Notable also is that the lunation occurred when a conjunction Mars / Saturn in Scorpio was happening in the MC of the Brazil´s chart. The ruler here appears strong, angular, in the Midheaven of Brazil´s natal chart. I will bring also the total lunar Eclipse´s chart happening in October 8th, at 10:53 Am, after the first turn of the elections. Here we can see that Saturn, ruler of the radical 4th house and of the natal Ascendent is in the Ascendant, Scorpio, which represents the MC of the Independence chart. I understand it as a marriage between ruler and citizens. Saturn has much to do with the conservative thinking and even more in a solid sign. Turning back to the SAN´s chart, the last lunation, the MC´s ruler is Saturn, a conservative planet in solid sign which appears here in the Ascendent of the eclipse. The angles are fixed, and there are a beautiful trine between Moon, Mars, the lord of the ASC and Jupiter in Leo occupies the Midheaven. The Sun in Libra, again detrimental is making sextile to Jupiter and the MC. Probably the present governor already won the first turn elections, which happened days ago: the Sun in a 12th receives Jupiter, as in the SAN´s last chart. Everything indicates that the queen will continue at her post. The charts indicate a woman in power ( Venus appears many times as significator) and the battle between ethics and bribe, as well as the power that a ruler can have over poor citizens. Probably, as Venus appears in some charts in a double sign ( the chart of the Libra´s Ingress having the Ascendent in a double sign) it indicates the possibility of two turns. Even happening a second turn of elections, the present president will win the election in the first and in the second turn.